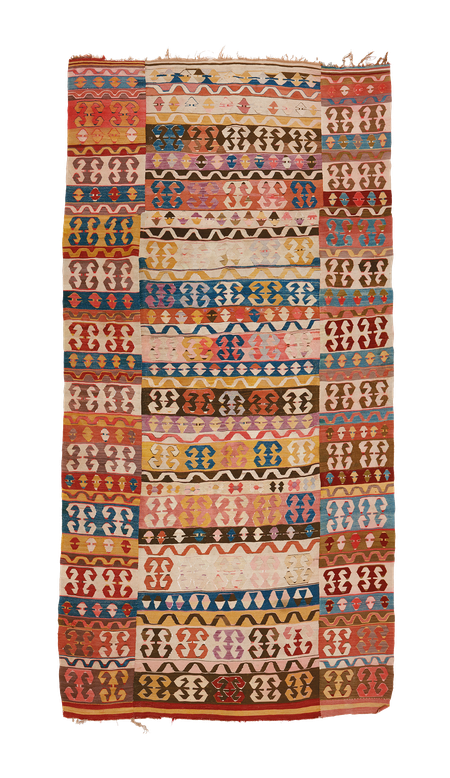 This separately woven, panelled kilim shows a repeated pattern of the "bereket" symbol for fertility and protection. The colour palette is remarkable and lends the rug a rich and vivid appearance. A rare and precious piece in very good condition, just some colour fading by the red areas.